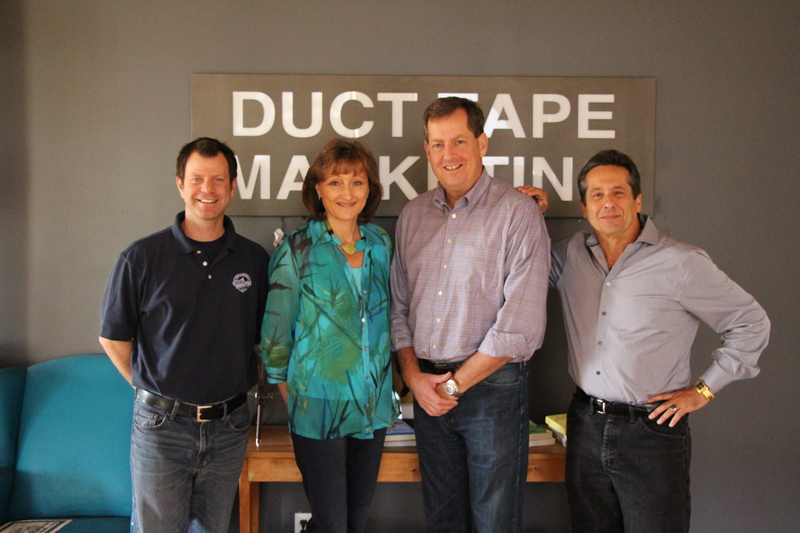 After 4 days of “Intensive” training in Kansas City, I am now an Authorized Duct Tape Marketing Consultant! 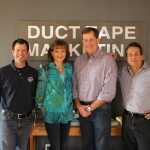 I’m pictured here with John Jantsch, founder of Duct Tape Marketing, and my trainers Patrick Giammarco and Joe Costantino. It was a great learning experience, but these four days were just the beginning. The support and continued training the DTM consultants receive is unheard of, which is just one of the many reasons I love this marketing system. I can’t wait to start training! 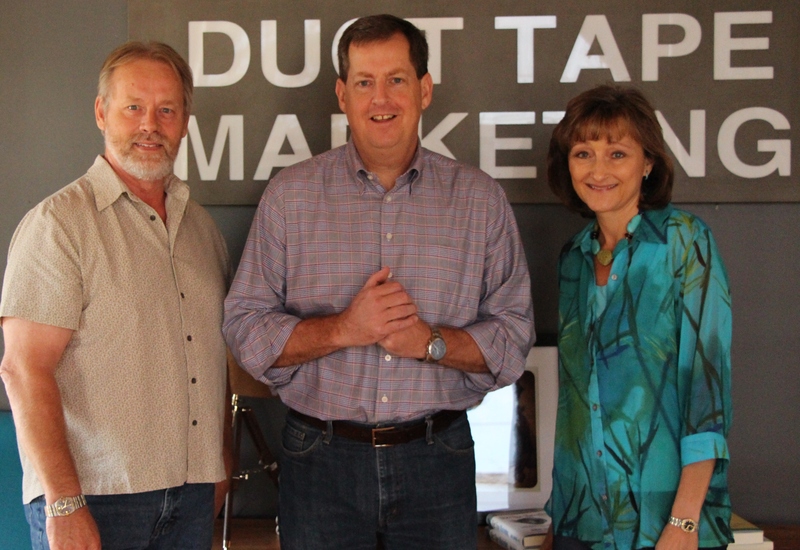 Steve also attended the training so we are both well-versed in all things Duct Tape Marketing. We will be returning to Kansas City in late October for even more training. Plus, we’ll be able to meet most of the other consultants from around the world, as it’s a gathering of DTM Consultants, an annual event. If you’re not familiar with Duct Tape Marketing, poke around the site some more, sign up for Strategic Marketing Tips so you get regular blog posts and videos from me, and sign up for the free ebooks available to familiarize yourself with the systems. If you have any questions, don’t hesitate to contact me. 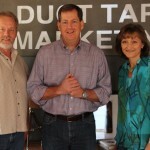 You can also learn more by visiting Duct Tape Marketing.